Cliff Buddle has been a journalist for 30 years. He began his career as a news agency reporter at the Central Criminal Court in London, where he worked for 12 years before being brought to Hong Kong by the South China Morning Post in 1994. Cliff was the Post’s chief court reporter for six years, during which he covered a wide variety of cases including the landmark constitutional legal battles following Hong Kong’s return to China. Since then, he has worked as an editor of the opinion pages, news editor, chief leader writer and deputy editor. Cliff spent 11 months as Acting Editor-in-Chief of the newspaper, overseeing its relaunch in 2011. He was appointed Editor, Special Projects, South China Morning Post this year. Cliff passed the Common Professional Examination (post-graduate diploma in law) in 2000. Then, in 2005, he graduated from the Master of Laws (Human Rights) programme at the University of Hong Kong. His dissertation was on the legal framework underpinning Hong Kong’s political system. Vivian Kwok is Deputy Editor-in-Chief with Next Magazine, Hong Kong’s highest circulation news weekly, overseeing a team of enterprise reporters and researchers covering Greater China. Before rejoining Next Magazine in April 2011, Vivian spent a year with the South China Morning Post where she broke front-page investigative stories on university scandals, land deals, and a secret agreement between the Hong Kong government and developers. Her series about private clubs in Hong Kong won a Society of Publishers in Asia award for investigative reporting in 2011. 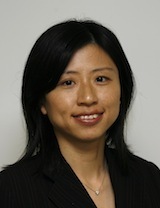 Born in Hong Kong, Vivian began her career as a journalist in 1996 with Next Magazine. Leading stories in her nine years at Next spotlighted the properties boom, tech-stock bubbles, and the SARS epidemic, among others. Her cover stories on Next Magazine and South China Morning Post have prompted changes in government policies. Ms. Meredith is a veteran of Bloomberg TV, Forbes Magazine, The New York Times, USA Today and the American Banker newspaper, where her reporting exposed a pattern of insider deals at savings and loans that led to four Congressional hearings and an overhaul of U.S. banking regulations governing initial public offerings. 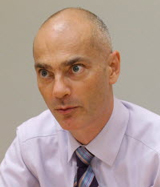 Demetri Sevastopulo is Asia News Editor for the Financial Times. He is responsible for the FT’s news operations in Asia, and serves as the global news editor during the Asian day. Before moving to Hong Kong, he was based in Washington as Pentagon & Intelligence correspondent. An Irish national, Demetri graduated from Trinity College, Dublin with a degree in business studies. He has an MA in East Asian studies from Harvard University where he taught Japanese and Chinese history as a teaching fellow. He also studied Chinese at Peking University and Japanese at Sophia University. Demetri speaks fluent Japanese, advanced Mandarin, basic Cantonese and (rusty) conversational French. Follow him on Twitter: @AsiaNewsDemetri. 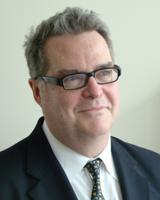 Jeffrey Timmermans is director of the undergraduate journalism program at The University of Hong Kong. 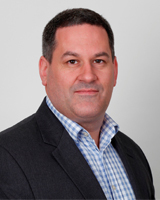 He has more than a decade of experience in Asia as a financial and business journalist, having worked as a reporter in Tokyo for The Wall Street Journal and as a managing editor for Dow Jones Newswires in Hong Kong and Singapore. 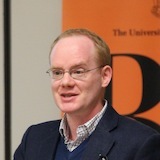 He also worked for Bain & Company, leading the global strategy consulting firm’s public-relations efforts in Asia, before joining the faculty of The University of Hong Kong’s Journalism & Media Studies Centre in 2008. Jeffrey holds a BA in Asian studies from Colgate University and a MS in journalism from Columbia University. Wei Gu, CFA, is the Wall Street Journal’s China Wealth and Luxury Editor. She writes a weekly column on spending and investing for wealthy Chinese called “People’s Money”, which runs every Friday in the Journal’s Asian edition and on Chinese.wsj.com. 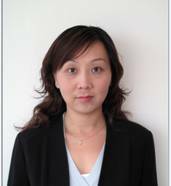 Wei joined the Journal in 2013 from a decade at Thomson Reuters, where she was most recently China columnist for Reuters Breakingviews. 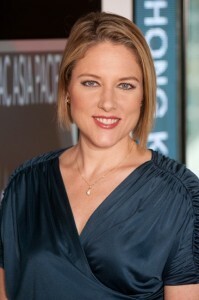 Before that, she was a reporter in the U.S., covering tech and stocks and handling important China-related stories. 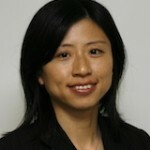 Wei began her journalism career in 1998 at China Business News Television, where she produced a weekly show. Born and raised in Shanghai, she earned a master’s in business journalism from New York University. 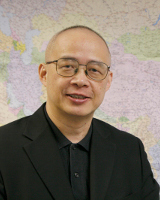 L.P. Yau (邱立本) ,born in Hong Kong, Editor-in-Chief of Yazhou Zhoukan(亞洲周刊，Asia Weekly) ,a veteran journalist who worked in Taiwan, the United States and Hong Kong for the last 40 years. He was selected by the netizens in China as one of the Top 100 Public Intellectuals in 2006 and 2008. Awarded the Distinguished Journalist in Hong Kong by the Xinyun Journalism Award in 2010 in Taiwan, he also got the SOPA ‘s Best News Commentary Award in 2011. Between 1995 and 1997, he worked as the Editor-in-Chief for the Mingpao Monthly（明報月刊) . His Chinese-language publication includes “Notebook on the Journalistic Passion” (Hong Kong:Cosmo Books 2008), “Literature in a Hurry”(Taipei:Ink Publishing 2008), “Tomorrow Declines Yellow Flower ” (Hong Kong:Yazhou Zhoukan Publishing 2008), and “The Word Explorer” (Hong Kong:Cosmos 2010). In 2011, he published two books, including “As My Tongue Remembers”(Taipei: Er Yu Wen Hua,2011) and “The Rising Youth Power”(Hong Kong:Cosmos 2011). 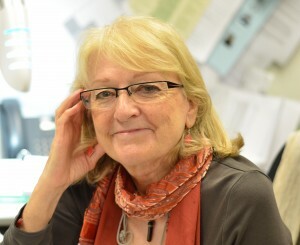 Judith Clarke is an associate professor in the Department of Journalism at Hong Kong Baptist University. Formerly a journalist with Asiaweek, and briefly with RTHK, she began teaching journalism more than 20 years ago and specialises in journalism skills — reporting and writing news of different kinds — and comparative and international news. 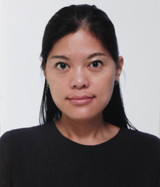 Her research focuses on the East and Southeast Asian region, particularly Cambodia.